is an entirely self-taught artist specialising in countryside landscapes and local wildlife. 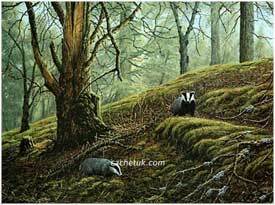 His work has been published as calendars, greeting cards and postcards for the RSPB and the WWF. has also published a series of limited edition british wildlife prints together with a set of cottage interiors and landscapes.